a hollow solidbody electric guitar. The body is milled out with a sustainblock left underneath pickups and bridge. A solid, arched maple top is glued onto the body. 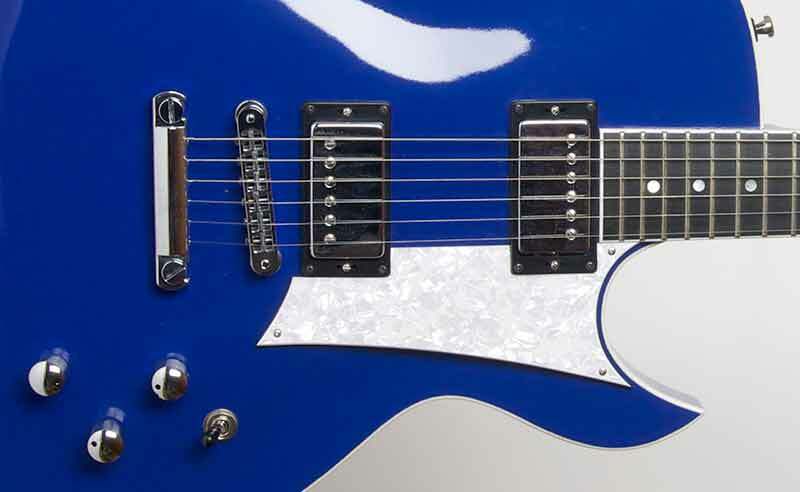 The solid maple top makes the Bluesette react very sensitive and dynamic to the pick. The Bluesette has a nice twangy tone with more “wood“ than a regular solidbody. This makes it very apt for jazz, rock and funk, whereas the focus might lie on rock, blues and funky stiles. The Bluesette works also very good with distortion or crunchy sounds.